Two things are needed to achieve this. First, we have to update the site.conf in order to handle the connections to localhost. Second, the default configuration in the Nginx image should be replaced with our new config. Now your PHP application will be accessible on any domain pointing to your Docker host. This doesn’t look much different, except that we don’t have to specify the links between the containers. Docker-compose adds all the containers to the same network and they are “linked” by default. This is especially useful when you add more containers to the setup (e.g. database, cache, queue, etc.) since you don’t have to worry about specifing the links between containers. This option allows grouping different containers in different networks based on the services they need to connect to. In our setup this is not needed, but I believe it’s an important feature to be aware of, especially when expanding the setup with more services. Special thanks to cipriantepes, who contributed to the repository with this improvement. This is something trivial but I never really thought it’s needed until I got several requests and even a PR for it. 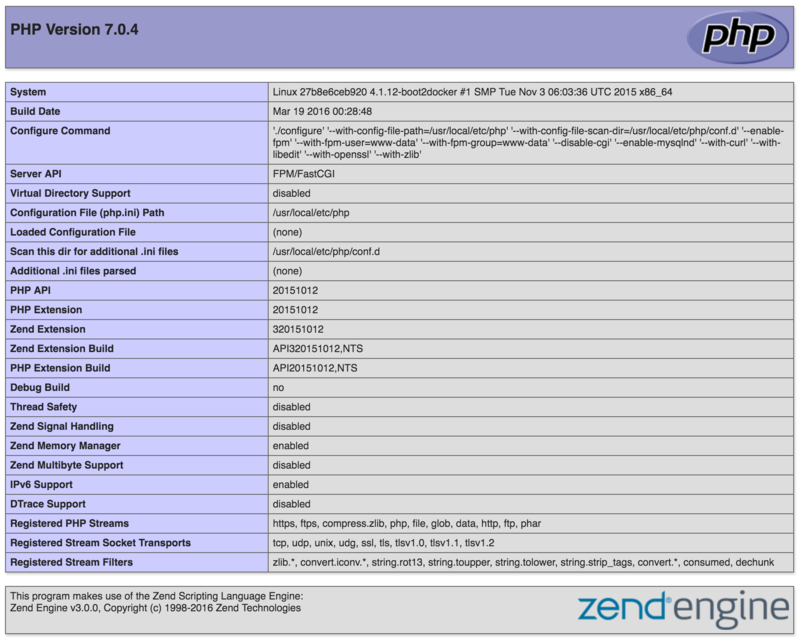 The issue is that the default php-fpm Docker image is not configured to log the errors. The fix is to enable logging. So… what happened? Well, we mounted our new log file in the PHP container, but we added a zz- prefix to it. Why? Because we want to have this configuration loaded last, so that it’s not overriden by the rest of the configs. Since this wasn’t part of the initial blog post, it resides in a separate branch – feature/log-to-stdout. Since you keep reading, I will assume that you already have some Docker experience and you want to run your PHP applications in containers. Because who wants the trouble of installing all the dependencies on their local environment or manage a number of virtual machines for their different projects, right? Right! The goal that we will try to achieve is to run a simple PHP application using the official Docker repositories for both PHP and Nginx. There are several docker repositories combining PHP-FPM with Nginx, but depending on the official repositories gives you several benefits, like using a service which is configured by its maintainers and you can always choose between the latest and greatest or different versions of both services, instead of relying on someone else’s choices. The first thing you have to do is, of course, install Docker (if you haven’t already). The second prerequisite is getting Docker Compose (it is included in the Mac toolbox). Now that we know what we want to achieve and have the tools to accomplish it – let’s get our hands dirty! If you don’t have a lot of experience with Nginx, this is what we define here – index.html will be our default index, the server name is php-docker.local and it should be pointing (update your hosts file) to your Docker environment (localhost if you are on Linux or the docker machine if you are on Mac or Windows), we point the error logs to be the ones exposed by the default container, so that we will see the errors in our docker compose log, and finally we specify the root folder to be the one that we mounted in the container. 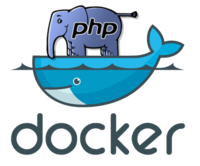 We can run any simple PHP application inside Docker containers, using the official images for Nginx and PHP.